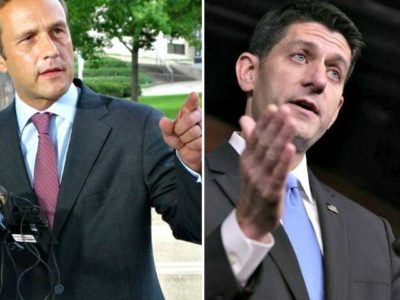 Paul Nehlen — a businessman, congressional candidate, and Paul Ryan foe — says he is coming for the establishment. What is the purpose of writing this book? What do you hope to accomplish? What do you think are your most important issues? I know you were big on killing TPP, what’s the next big issue for you? Supporting President Trump and the America First agenda. We need a wall on the southern border, a halt to the refugee resettlement racket, a full repeal of Obamacare, great bi-lateral trade deals, and tariffs on the countries who are at economic war with America. 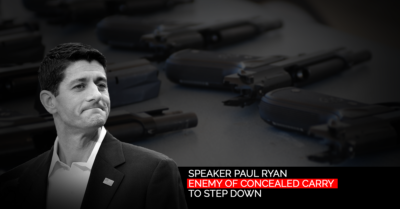 What do you think your chances are for beating Paul Ryan are? I think my chances are great this time. We have fourteen months versus the our months we had last time. My name recognition is high among the grassroots in Wisconsin and Speaker Ryan continues to undermine the Trump administration just as he said he would before the election. What is your sense of the trend of conservative voters? Some have suggested that enthusiasm for Trumpian populism could be on the decline since his election win, while others think it’s stayed the same or increased? What is your take? I think there is a thirst in this country for economic nationalism and a truly America First agenda. Trump embodied those things on the campaign trail and while he is bogged down with the swamp, there is no lack of enthusiasm out here in America, no matter how the UniParty globalists try to spin it. What’s the biggest takeaway you want readers to have after finishing your book? I want people to come away from reading that book realizing that one man (or woman) can really make a difference. In four months, it was possible for Nehlen to wage a winning battle against Trans Pacific Partnership, a treaty that was negotiated in secret for over half a decade, lauded by Speaker Ryan, Hillary Clinton, and President Obama. Nehlen is energizing like-minded conservatives to rally to America’s defense of economic nationalism. Nehlen’s new book “Wage the Battle” is out on WND Books in hardcover on July 27.